Home / Blog / PADDLE HOODIES HAVE ARRIVED! The inspiration to make these paddle hoodies evolved from losing a couple of paddles and then nearly losing a few more! Leaving post it notes on the dashboard just didn’t work and the slightest distraction would de rail my routine of PUTTING THE PADDLE IN THE CAR FIRST! I tried to find out where I could buy a soft cover rather than the hard zip covers without too much luck so decided to produce my own. Aside from the obvious benefits of protecting your blade and your car as they get knocked around I tie my hoodie to the steering wheel when I’m on the water and there is no way I can forget the paddle. It’s simple but it works! They are easy on, easy off, easy on the eye, easy to wash and take up no extra space anywhere. 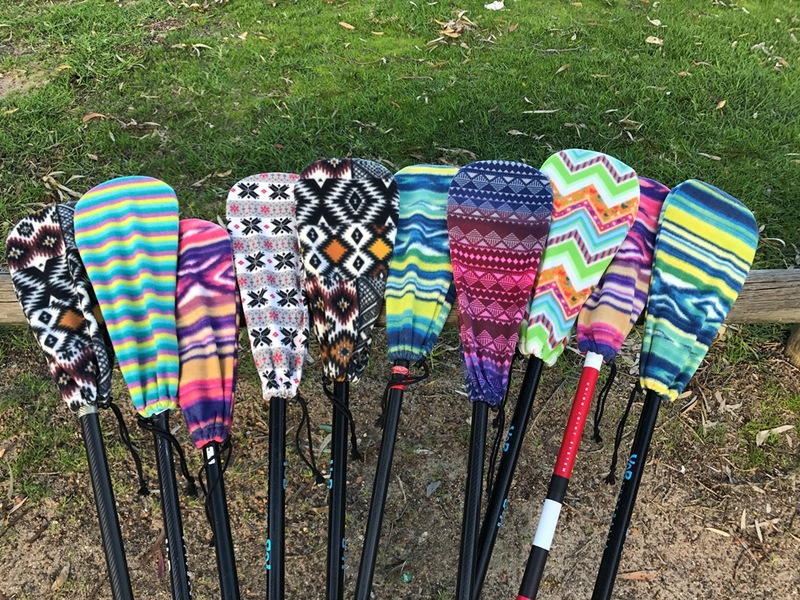 I’m always looking for the most simple and effective solutions and this made heaps of sense solving the expensive alternative of replacing paddles! At a reasonable cost of $18.00 each the paddle hoodie makes a funky and practical gift or something extra to throw in the Xmas stocking! If you would like to purchase one send me a enquiry and I will be in touch with colours available payment options.